If you’re looking for natural-looking, high-quality fixed dentures, then implant-supported dentures might be the solution. 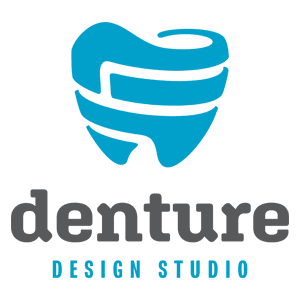 Denture Design Studio, serving residents in College Place and Walla Walla, Washington, offers a full range of denture services including custom-made full, partial, and implant-supported dentures. To learn how Denture Design Studio can restore your smile and confidence with high-quality dentures, call our office today. Dentures are a removable oral appliance designed to replace missing teeth. Not only do they improve physical functions like eating and speaking, but they also enhance your appearance by restoring your smile and maintaining the structural integrity of your face. With more than 30 years of experience, Denture Design Studio provides high-quality denture services to ensure optimal fit and function to help you enjoy life more, including full and partial custom-made dentures as well as implant-retained dentures. Unlike traditional dentures that rest on your gums, implant-supported dentures have dental implants to hold them in place. Like custom dentures, you make implant-supported dentures with natural looking teeth. They are also attached to a base that resembles your gums. Instead of resting on your gums, however, implant-supported dentures require at least two or more dental implants to keep them in place. The dental implants that secure your implant-supported dentures usually go in the front or sides of your mouth. * Implants often require multiple appointments over several months, perhaps up to a year. First, your implant is placed under your gum. After your gum has healed sufficiently, the tops of the implants are exposed. Sometimes you can have these procedures done at the same time, but that is determined on a case-by-case basis. After your implants are placed and the tissue has healed, your implant-supported dentures are designed and handcrafted on-site at Denture Design Studio. Using high-quality materials to give you the most natural and comfortable look, the team works closely with you to ensure optimal fit, comfort, and appearance. *Implants are placed by a specialist in this field and may include an oral surgeon or periodontist. To learn more about implant-supported dentures, call Denture Design Studio to schedule your free consultation today.